Plug Power, a leading developer of hydrogen fuel cells, has announced that it has formed an expansion partnership with Walmart Canada. Through this partnership, Plug Power will deliver 124 of its GenDrive fuel cell systems to Walmart’s distribution center in Balzac, Alberta, Canada. Walmart has been showing significant support for renewable energy in recent years, though fuel cells have received relatively little of this support. Walmart Canada already has fuel cells from Plug Power in service, having added these fuel cells to its materials handling fleet in 2010. Hydrogen fuel cells have come to hold a strong position in the materials handling space. Companies are beginning to replace the conventional lead-acid batteries that power forklift trucks with fuel cells. These energy systems are considered more efficient than batteries and can be fueled in a matter of minutes, as opposed to batteries, which can take several hours to charge completely. These energy systems also produce no harmful emissions. Walmart Canada will also receive infrastructure support from Plug Power through its GenFuel platform. GenFuel provides diagnostic support for a hydrogen fuel infrastructure, allowing those using fuel cells to monitor the fueling process. This will be the first time that GenFuel will be used in Canada, which may serve as an opportunity to show off how innovative this system is, encouraging other companies to embrace hydrogen fuel cells in the future. 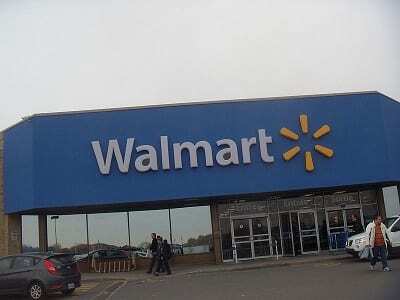 Walmart has been using hydrogen fuel cells in the United States for several years. Plug Power began a partnership with the retailer in 2007. The retailer currently employs more than 1,800 of Plug Power’s GenDrive fuel cells, which are in operation in nearly eight distribution centers in the United States. Walmart Canada is expected to benefit from the company’s fuel cells and may end up purchasing more of these energy systems from Plug Power in the future.